“A good sermon,” Marilynne Robinson writes, “is one side of a passionate conversation.” It has to be heard in that way. So, too, a good novel. It is a conversation among the novelist, the reader, and — as in the case of a sermon, perhaps, for some — God. That may be true of all first-rate fiction, whether acknowledged or not, because the best novels are always a dialogue — perhaps an argument, perhaps a prayer — with the world and its meaning. In GILEAD, Marilynne Robinson’s second novel, God works as a second, unstated addressee, a mostly implied presence whose reality is suggested by the pervasiveness of prayer. 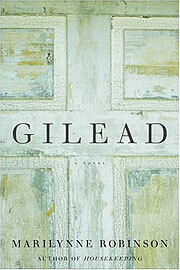 GILEAD is better than a good book. It is a slim, spare, yet exquisite and wonderfully realized story that will long stand as one of fiction’s finest reflections on the sacramental dimensions of life, especially the Christian life lived in the routines and wonderments of prayer. It is, like a good sermon, a passionate meditation. The book is slender only in the number of its pages — a mere 247. Otherwise, it is a fuller, richer and more deeply textured novel than most contemporary fiction twice its size. Robinson makes use of a form — the epistolary novel — that is classic but one of the most difficult to pull off well. It can often seem forced and cumbersome and — to the contemporary reader more attuned to e-mail and instant-messaging rather than the carefully considered craft of composing a letter — irritating in its deliberate pace. 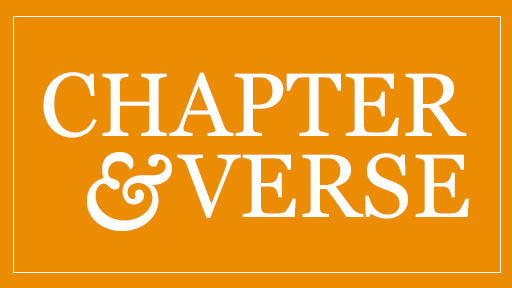 Robinson’s epistle takes the form of a letter from 76-year-old John Ames, a fourth-generation Congregationalist minister, to his just-about-seven-year-old son. Ames is suffering from heart disease, and his letter, written in 1956, is a summing up of the past sprinkled with anecdotes and advice and sketches of the present, especially of his son and his wife and his best friend, also a minister. Robinson has given her protagonist a strong, unique voice — he disdains what he calls the pulpit talking — that seems in its own way biblical but not the Bible of the King James Version. It is rather the more vernacular English of the Revised Standard Version, the translation of the KJV published in the early 1950s that aimed to capture the plain speaking of Americans at mid-century. This “letter from John” to his young son also calls to mind the pastoral letters near the end of the New Testament in which another John addresses “my little children” and his “beloved,” and which, like John Ames’s letter, are suffused with a sense of light. Ames’s letter is quietly but vividly told family history: the apparently disjointed recollections jotted down over time of his grandfather, a militant abolitionist given to biblical-type visions who went to Kansas to join John Brown and lost an eye in the Civil War; his father, who, recoiling from his own father, became a pacifist; his brother, whose studies in Germany led him to disbelief and alienation from their father; and his Presbyterian minister friend Boughton and his family, especially Boughton’s son and Ames’s namesake, John Ames Boughton, another prodigal whose homecoming is eagerly awaited. “I have been thinking lately,” Ames writes, without either despair or melancholy at the approaching end, “how I have loved my physical life.” As the novel concludes, he tells his son, “It has seemed to me sometimes as though the Lord breathes on this poor grey ember of Creation and it turns to radiance — for a moment or a year or the span of a life.” It is a vision of transfiguration — the ordinary stuff of life made extraordinary in the apprehension of it. Marilynne Robinson has done the same with the life of John Ames. In the imagining of it she has shown the sacramental possibilities of the world. David E. Anderson is senior editor of Religion News Service.